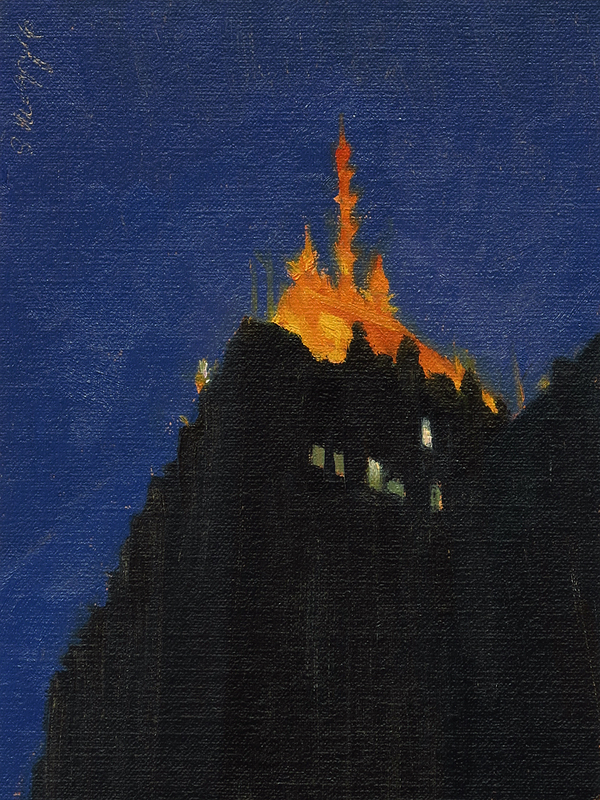 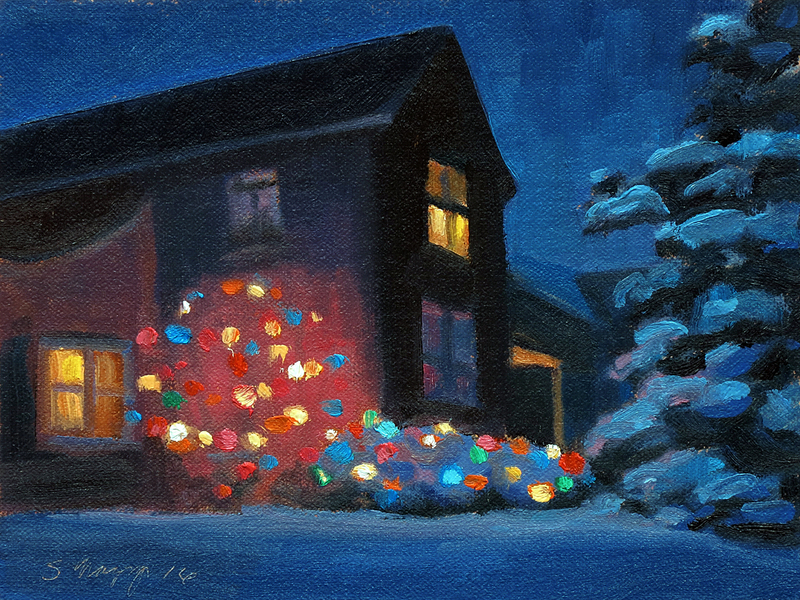 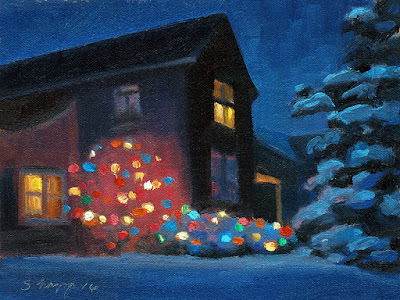 This urban landscape painting is a nocturne view of our house with our Holiday lights on. 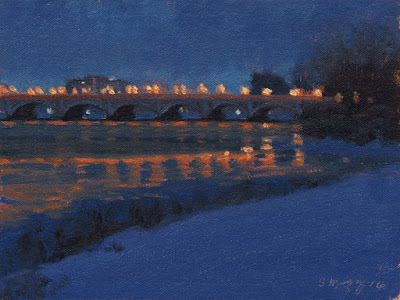 This Winter landscape painting is a nocturne view of the MacArthur Bridge to Belle Isle Park. 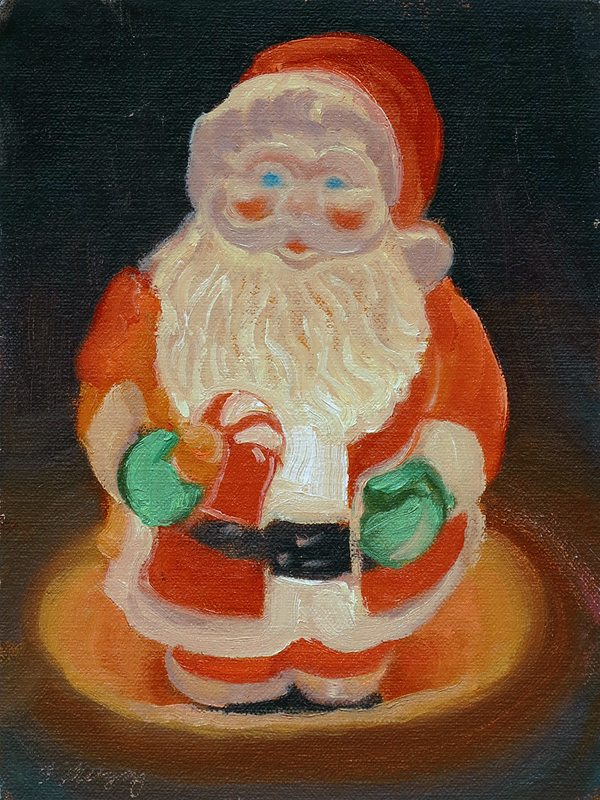 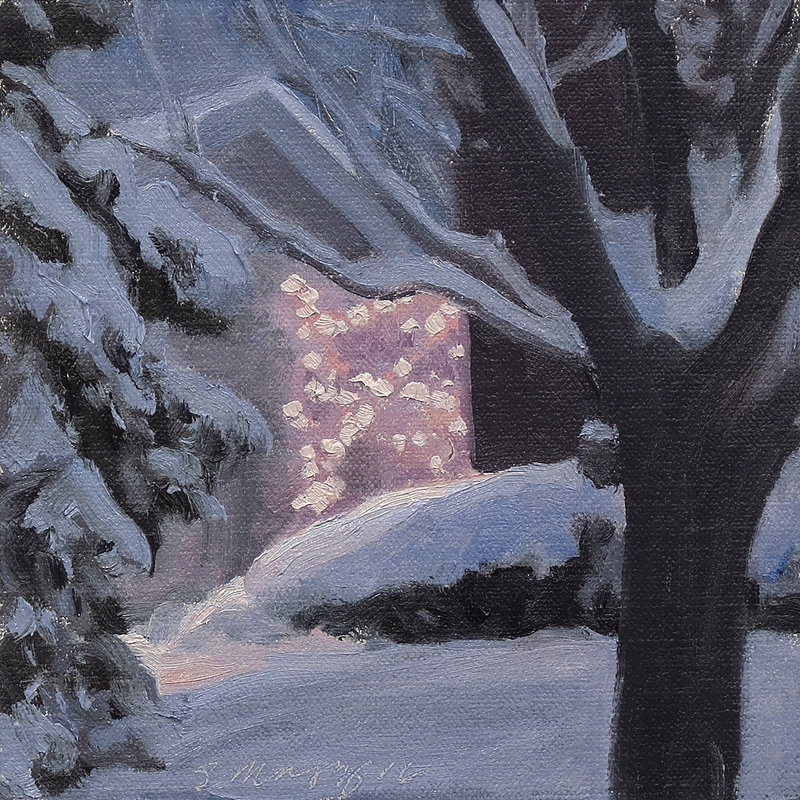 This winter landscape painting is a view of my neighbor's Santa and snow. 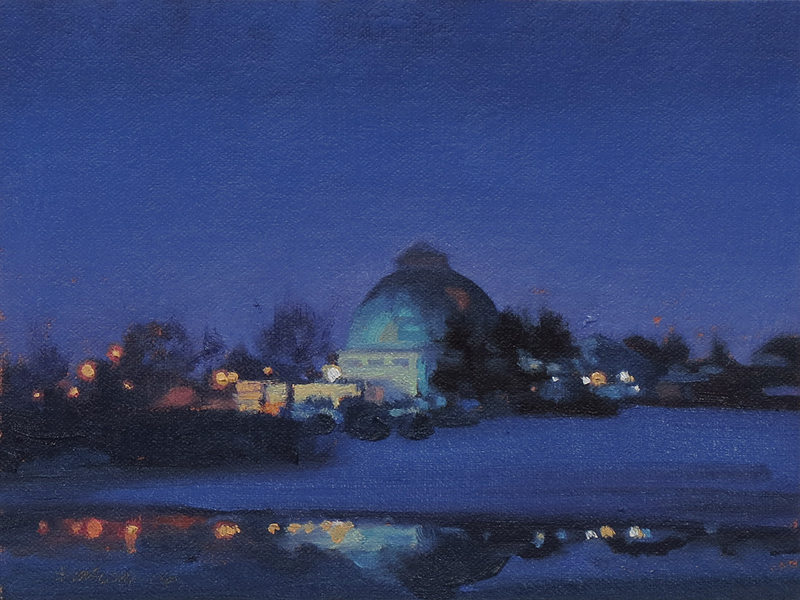 This Winter landscape painting is a nocturne view of the conservatory on Belle Isle Park. 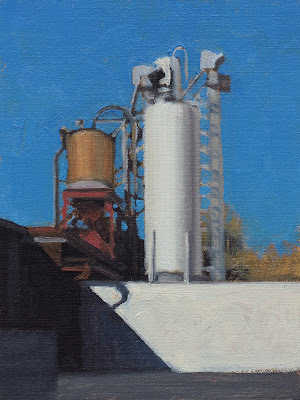 This industrial landscape painting is a view of sunlight and shadows on a crisp winter day on Jefferson Ave in Detroit. 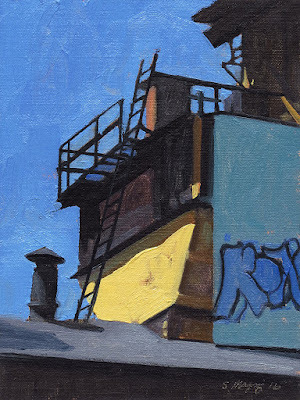 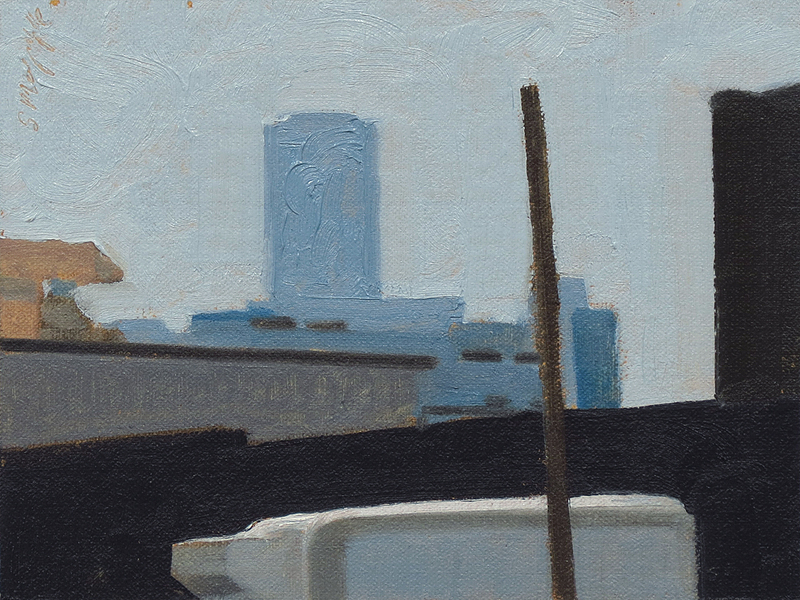 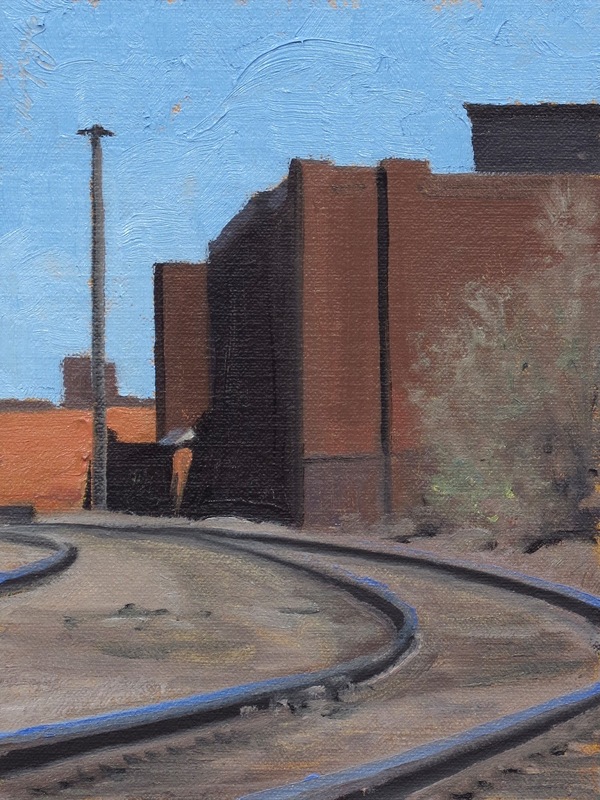 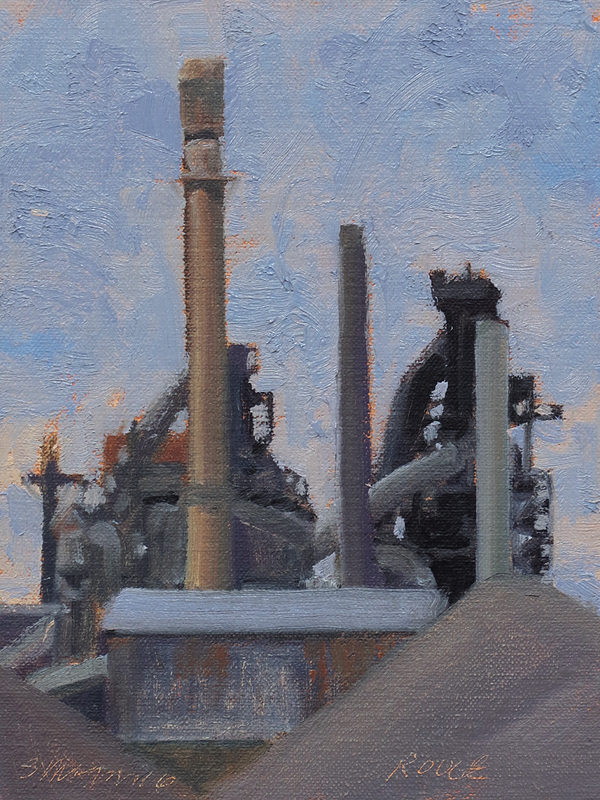 This industrial landscape painting is a view of a section of a industrial complex in Detroit. 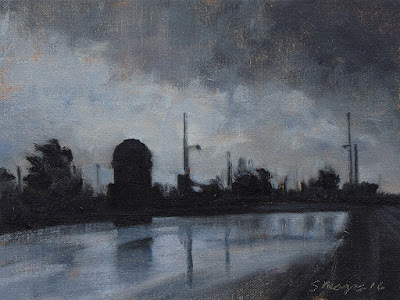 This industrial landscape painting is a view of a storm approaching the Dix Ave bridge over the Rouge river. This one came up very fast and we got wet, but it was worth it for the dramatic shots we got.